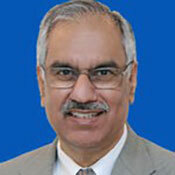 Upon completion of his Post Graduation in Economics from the Delhi School of Economics, Mr. Biren Nanda joined the Indian Foreign Service in 1978. Mr. Nanda has previously served as a diplomat in Indian Missions in Singapore, Beijing, Shanghai, Washington, D.C. and Tokyo. He was the Consul General of India in Shanghai from 1996-2000, Deputy Chief of Mission in the Embassy of India in Tokyo from 2000-2004 and Ambassador of India in the Republic of Indonesia from 2008-2012.